As Lew Griffin leaves a New Orleans music club with an older white woman he's just met, someone fires a shot and Lew goes down. When he comes fully to, Griffin discovers that most of a year has gone by since that night. What happened? Who was the woman? Which of them was the target? Who was the sniper? There are too many pieces missing, too few facts, and a powerful need to know why a year has been stolen from his life. Weaving Griffin's search for identity - one of the recurring themes in this magnificent series - with a sensuous portrait of the people and places the define New Orleans, Sallis continues not only to unravel Griffin's past but to map his future...and our own. Bluebottle continues the mysterious journey begun in The Long-Legged Fly and demonstrates the growing mastery of one of America's finest crime fiction stylists. Crack another case with Lew Griffin. 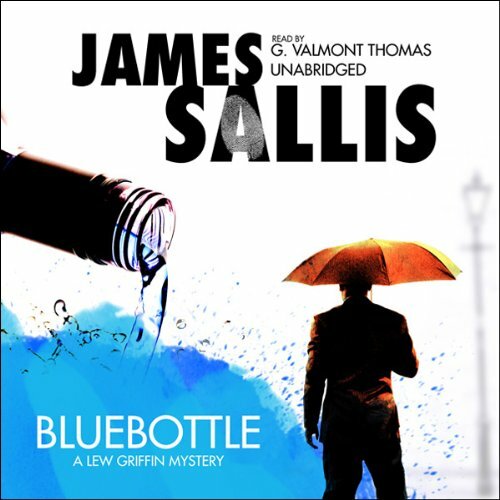 ©1999 James Sallis; (P)2009 Blackstone Audio, Inc.